WILL & WILL, LLP is a full service criminal defense firm with offices in Los Angeles, Orange, Riverside, San Diego, and San Bernardino Counties. 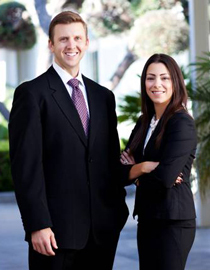 Our lawyers are former prosecutors and experienced defense attorneys. We have experience in both the state and federal justice systems and defend all types of cases from minor infractions and misdemeanors to the most serious of felony offenses. Hiring WILL & WILL, LLP to defend you means hiring a team of the best defense attorneys, investigators, and other experts to work diligently on your case in order to achieve the best possible outcome. We will be relentless in defending your rights and winning your freedom. Contact us now to find out how we can help you. Call 888-690-WILL (9455) or fill out our online form for your free consultation.